A £50,000 memorial is being planned in Brechin to commemorate the Scot who invented the radar. 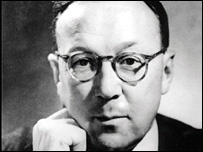 Sir Robert Watson-Watt created the first workable radar system after searching for a way to predict thunder and lightning to warn aviators. The recently formed Watson-Watt Society now plans to build a statue to the "father of radar" in his home town. The society's secretary Brian Mitchell said Sir Robert's contribution was "hugely significant". A descendant of James Watt, the famous engineer and inventor of the steam engine, Sir Robert was an unsung hero of World War II. His work turned radar into one of the most important war-winning weapons as it enabled the RAF to deploy fighters against the German bombers. But until now, Watson-Watt's connection with Brechin has only been marked with a small plaque on the wall of his birthplace in the town's Union Street. Mr Mitchell, secretary of the society, said there was "a determination" to have a permanent memorial to commemorate the life and work of the inventor who attended Brechin High and University College, Dundee. "His work was extremely important during World War II and has been further developed into today's air traffic control systems," Mr Mitchell said. "It was feared that German aircraft would flatten every town in Britain. "Bombers had been able to approach Britain from altitudes where anti-aircraft guns were unable to reach. "Watson-Watt developed the system to detect and locate the threat by radio methods." He said Nazi Germany had claimed to have a "death-ray" which was capable of using radio waves to destroying towns and cities, but Watson-Watt was able to prove this was not possible. "A statue or sculptured stone monument will be a fitting memorial to our most famous son," Mr Mitchell added. At the start of World War I, Sir Robert was offered a post at the Meteorological Office, who were interested in his ideas on the use of radio for the detection of thunderstorms. Lightning gives off a radio signal as it ionizes the air, and he planned on detecting this signal in order to warn pilots of approaching thunderstorms. 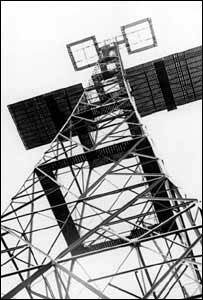 He found that aircraft could also be detected without being seen, thereby discovering the science underlying radar. His work resulted in the building of a chain of radar stations along the east and south coasts of England before the outbreak of World War II. The system helped the RAF win the Battle of Britain and was vital in the Battle of the Atlantic and the D-Day Invasion. In 1942 Sir Robert's work was recognised with a knighthood. He died in 1973, aged 81.